It’s all finally coming together. Last year, we bought our “haunted” dining room table off Craigslist, and started the search for chairs to go with it. 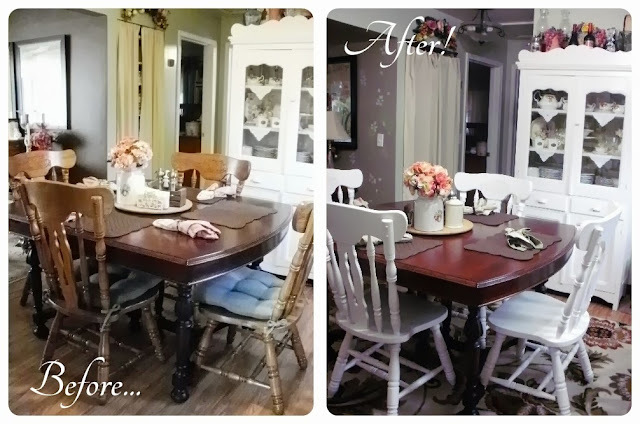 When I told you about the table last year, I shared my idea of using the chairs from Jim’s old table that we sold. The table with the chairs from Jim’s old table. Well, I did end up using the chairs from Jim’s table. The size and design of them really fit the style of our home. They brought a kind of casual elegance to the our formal mahogany table. Do you see how the tied in the country feeling of my beautiful china cabinet? The problem with them was they were the wrong color of wood. Next to the mahogany table, the pecan chairs looked drab and lifeless…at least to me they did. Close up showing how the woods didn’t go together. Now, normally I don’t have a problem with mixing different woods together. However, it was so obvious the chairs did not go with the table that when friends visited, they always asked what I was going to do with the chairs. Which everyone knows is a nice way of saying, those don’t look right together and you need to change them. haha! I’d almost be offended if they weren’t right! So with the idea that I’d paint two at a time, so we wouldn’t be without chairs to sit on, I started by painting two of them white. They looked great! I played around with the idea of painting them yellow, but Jim vetoed that idea. He liked the white better… I still have the yellow idea in the back of my head though, so who knows. I’m super pleased with how they turned out. Yes, I’m still thinking about painting them yellow just because I think it would be really fun. But then again, when you consider that it took me nearly five months to finish painting them the first time, who knows how long it would take me to get around to painting them yellow! As you can see from the side by side, there have been some other changes too. I’ve decided not to use seat cushions, and I’ve added a rug. I found it’s easier to keep the dust bunnies under control with a rug under the table, but finding one that fit our small kitchen and that was also large enough for the table and chairs was quite an adventure. I never did find the size I really wanted. Detail of the chair’s pressed back. I used a gloss to highlight the design. For those who are interested, I painted the chairs using the Rust-oleum Cabinet Transformations kit that I had left over from painting the upper cabinets. It has held up extremely well on both the chairs and on the cabinets, so I highly recommend using it if you’re not into doing a lot of sanding and want an easy and quick change that will last. I’m planning on getting another kit when I paint our lower cabinets, that’s how much I like this product. One last look… Ahhhhhh…. I love it! You know… The table doesn’t look so haunted anymore! I think the spirits like what I’ve been doing to it. 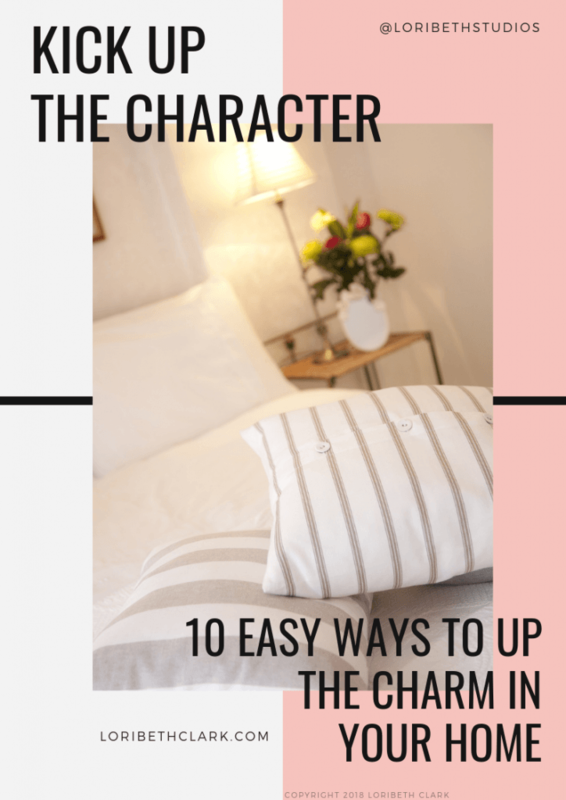 Don’t forget to leave a comment and tell me what you think!! I love hearing from you, it makes my day!